We inform you the entire comprehensive address and hotline contact numbers of SSS Lapu-lapu Cebu branch provided below.As you want to know the Social Security System of the Philippines will help you, by providing correct information regarding to your benefits and needs like to make an online inquiry for contribution inquiries, benefits,loan application, downloadable forms, benefits inquiries, remittance, SSS ID application, member participations, the best way continue paying your SSS contribution,loans, static data, SSS ID application, forms, online account registration and so on. For further information, just visit the website at www.sss.gov.ph or you can visit personally the SSS main branch in Quezon City. This entry was posted in Benefits, Branches, Hotline and tagged hotline number, lapu-lapu branch, location address, sss office. Bookmark the permalink. My sss id card was stolen together with my bag and other Id’s. 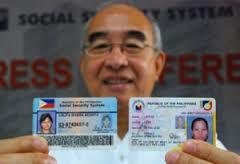 What should I do in order for me to get a new SSS Id as replacement? What are the documents needed since I no longer have any other valid ID’s. I address to branch head Mr. Alberto L. Montalba at SSS Lapu-lapu City, Cebu. I would like to follow-up the lumpsum or death claim to my father Juan D. Barro was died on August 12, 2014. Please reply me with this cellphone number 09353116532. Thank you for your open handed and consideration. Can’t access to log in…ma’am Cora has just resetted my username & password ,,,no matter how i refresh it, i still got.”no network connection” & ” webpage not available”!!!! Tried other URL i’m still not connected!!!!!!!!!!!!! !